Cute, simple-minded Tomo Masaki has a brother complex. Tomo so adores his older brother Ei that he studied hard to get into Kouryou Academy, where Ei is a popular senior and Student Council President. Now the bane of Tomo's existence is Ei's best friend and Student Council Vice-president, Motoki Izumi. For some reason, Izumi always bullies and teases Tomo whenever he comes to the student council room to pay his brother a visit. Why can't Izumi just stop it and leave him alone? 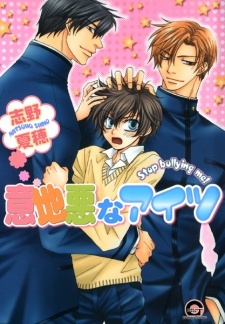 More importantly, why does Tomo's heart pound whenever Izumi does bully him?! Sometimes, Izumi's even nice to Tomo—which only makes his heart beat faster!